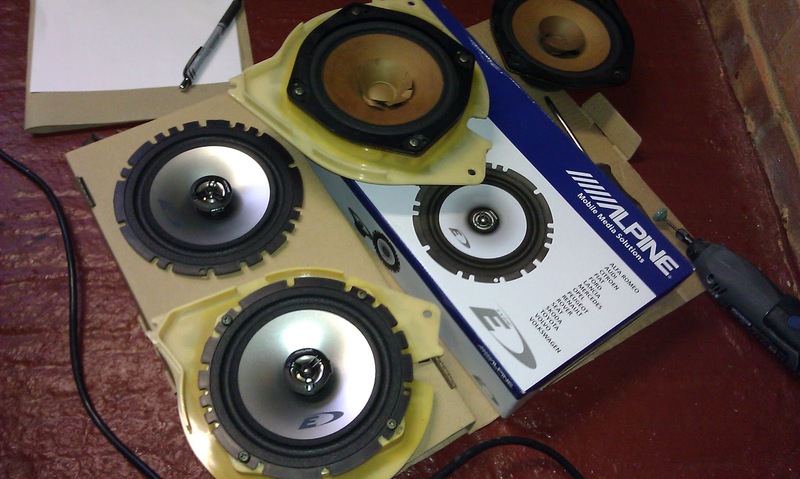 Whilst not claiming to be an expert on speakers, anything is better than the standard Nissan fitments! Remember she is an old girl and it's only in recent years that 'ICE' (In Car Entertainment) has become a real selling point on your average car. First problem is getting at the speakers. There are speaker covers, but they don't budge! 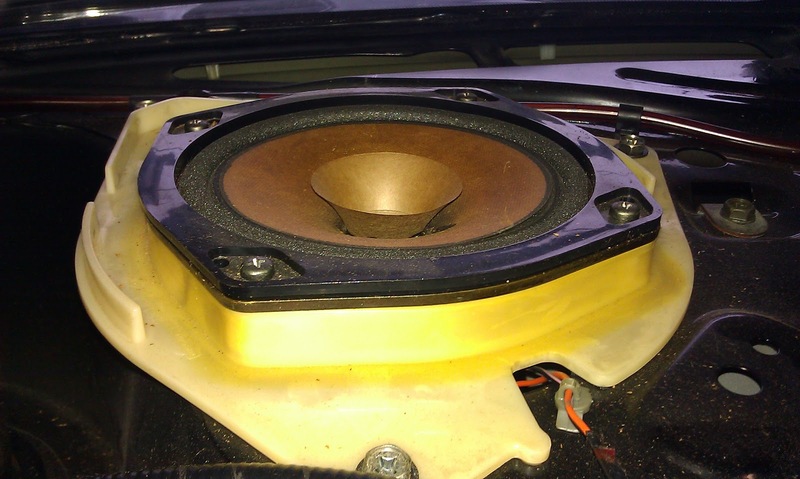 No the only way into the speakers is by removing the actual rear shelf and the only way to do this is by removing... yep you guessed it... The seats. Slide the passenger and drivers seats forwards as far as they will go, this will give you room to work. 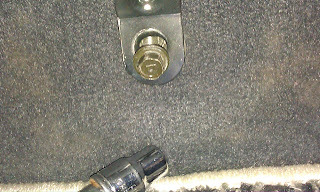 Remove the two 12mm bolts from the lower rear seat. 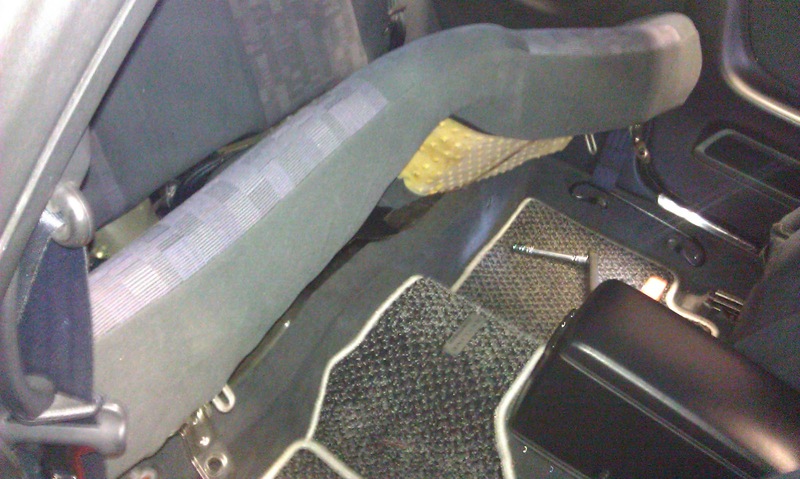 Once removed the seat needs to be pulled up and out. 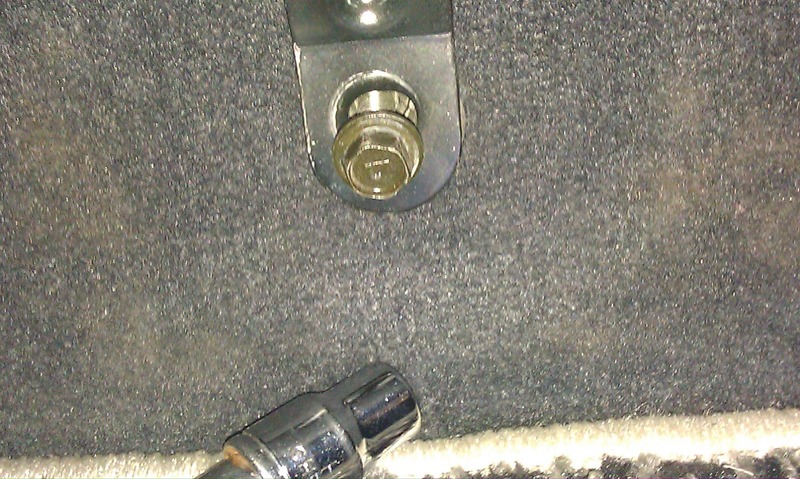 There are two pins/clips near where you just removed the bolts. Sit on the centre console with a hand each side and give it a sharp tug. They soon pop free. Remember to feed the lap belt through the hole to remove though! Up and out with her! Now you can remove the back rest part of the seat. 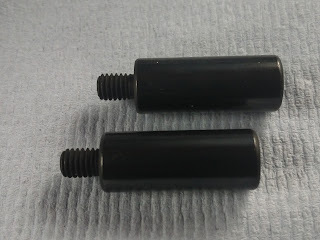 There are two 10mm bolts either side. 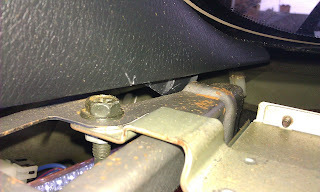 The seat is held in position by being dropped down onto hooks, so simply lift backrest up and away. The shelf... OMG what a job but easy when you know how. Lift shelf in the middle and 'pop' two trim studs out. Tug it towards you to release back clips or go into boot and flick them with a screwdriver. You will now need to free the shelf from the pillar trim. 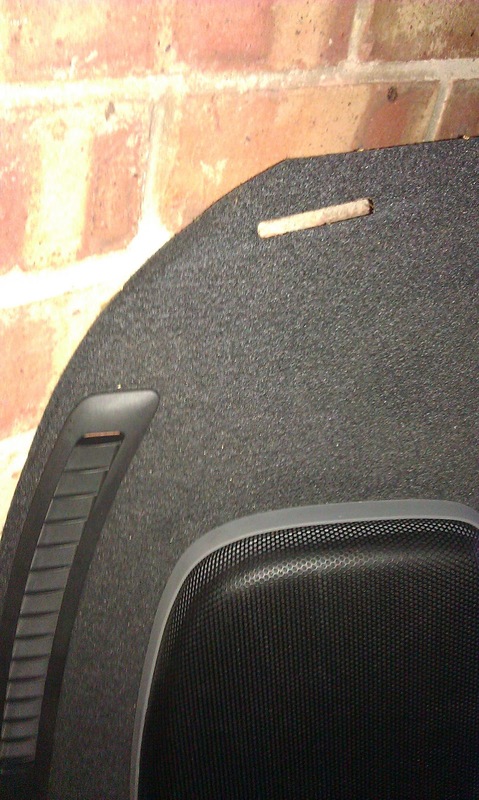 On the bottom of the pillar trim there is a tongue that goes into a slot in the shelf. I removed by pulling the trim away from the glass side, giving me just enough room to free the shelf and did one side at a time. All will now be revealed! Remove the speaker housings three 10mm bolts and remove the housing. 6.5 component speakers will drop straight in. 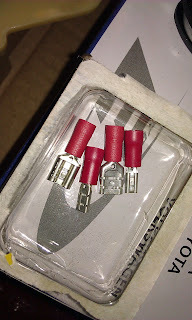 Remember to keep the speaker cable connectors towards the front, as the wiring is not very long. Also remember to get the proper clips. No dodgy soldering please! ﻿﻿Fit everything back again. You can do it! This completes the speakers. I can crank the stereo up to ear shattering levels and annoy the neighbours cat now. Note although completed, stereo install coming soon! Bet my one reader can't wait! Many thanks' to the legend Andy of Serious Performance Autos for pointing out what to smack with a hammer.